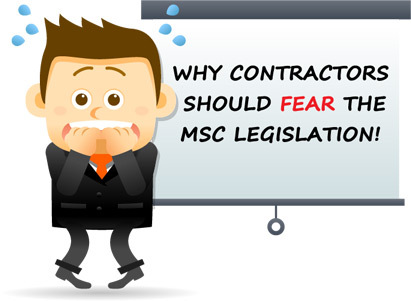 Contractors seem to think that HMRC have forgotten all about the Managed Service Company (MSC) legislation, so they can forget about it too. Well they’re wrong! HMRC have it very much in mind and are starting to make lots of money from it, and guess who’s paying? You guessed it, contractors just like you! HMRC successfully argued that an accounting firm was a Managed Service Company provider (MSC Provider), which sounds rather boring, doesn’t it? Why should you care what HMRC think of your accounting provider? Well, unfortunately you need to care, because the MSC legislation states that if your accounting firm is an MSC Provider, then your Personal Service Company (PSC) is an MSC, full stop…. no requirement for anything else, your company is an MSC, end of story. So, what does that mean for you? Well, it means that all the money that your company received should have been subjected to PAYE and NI. “It doesn’t affect me”, I hear some of you say, “I’ve closed the company and gone permanent”, or “I closed that company a few years back and I’ve now got another one, so there’s no money for HMRC to go after”. Oh yes there is, there’s your house and any other asset you own. You see, the problem with the MSC legislation, unlike IR35, is that it comes with “Transfer of Debt” legislation thrown in. 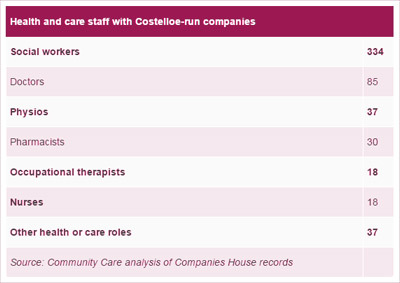 That legislation allows HMRC to collect any unpaid PAYE & NI from you personally, ouch! In simple terms this means that they benefit on an ongoing basis from you providing your services to your client, so you need to make absolutely sure that their fee is not a percentage of your earnings. If it is, then they are benefiting on an ongoing basis as their fee is directly linked to what you earn. Instead you need to ensure that your accountant charges an actual fee. That fee can fluctuate providing it reflects the time that the accountant spends on your affairs. Do not insist on a reduction because you’re out of work for a month because your accountant will still be running your payroll and doing your VAT returns so would be unable to justify why they had reduced your fee. An example of this is where an accountant insists that all clients use a particular bank and penalise you financially if you don’t, or they can make payments out of your company bank account on your behalf. Your accountant is permitted to suggest a bank account, but they should not insist, and you should never allow them to make payments from your account. Having “read-only” access to your account is fine, that is no different than sending them your bank statements, but they should never be able to make payments for you. Your accountant should not ask you to pay any monies in respect of VAT, Corporation Tax, PAYE or NI to them. They should advise you what needs to be paid and then tell you how to pay these sums direct from your company bank account to HMRC. Do not allow your accountant to be the Company Secretary of your PSC. You no longer need a Company Secretary, so do not allow this. The accountant says they will indemnify you against tax if HMRC come calling later, or they have an insurance scheme that will cover you. Your accountant is permitted to represent you free of charge in the event of an enquiry, they just can’t promise to cover any unpaid taxes in the event you are unsuccessful. This article doesn’t cover every single eventuality but it does cover the most obvious issues that are likely to arise and most of them did arise in the “Christianuyi Ltd and others” case which featured Costelloe Business Services as the accountant, see below for more details. If you are looking for a chartered accountant or have any further questions relating to the MSC Legislation, please do not hesitate to contact us on 0800 954 2101. We would be very happy to help.